After last Monday Night’s 38-7 debacle at the hands of the Pittsburgh Steelers, the Baltimore Ravens may have shown their fans as well as themselves that they may not repeat as champs of the AFC North Division. More importantly, it looks like they can no longer be considered even a playoff team that is a healthy quarterback or defensive end or cornerback away from repeating which many experts predicted before the 2007 season. 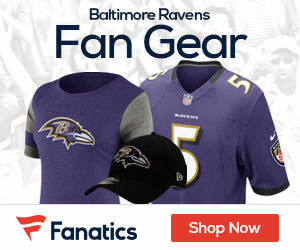 To many Ravens fans, particularly those on the local Baltimore sports talk shows, the Ravens problems go higher up with the buck stopping at Head Coach Brian Billick, who seems to be fast approaching the end of a nine-year tenure with the Ravens. A little history lesson is in order here. Billick was supposed to be an offensive guru when he was hired by General Manager Ozzie Newsome based on his track record as offensive coordinator with the Minnesota Vikings during the mid-90s. Notwithstanding the fact that he had QB Randall Cunningham throwing to, among others, WR Randy Moss in Minnesota, Billick has hiredand fired two offensive coordinators in Baltimore, Matt Cavanaugh and Jim Fassel, and taken on the play-calling duties of the OC position himself. He hired Rick Neuheisel, the current OC to basically groom backup QB Kyle Boller to eventually replace the starter, Steve McNair. Prior to the Steelers game, Billick even had Boller starting in McNair’s place for a couple of games hoping that McNair would be healthy enough for the second half of the season starting with the Steelers game after the bye week. Also, Billick’s own play-calling had been called into question recently by one of his own players, Inside Linebacker Ray Lewis. This does not mean that the quarterback position gets off scott-free. The 34-year old McNair hasn’t played well for a long time especially in big games. In his past seven starts, McNair has thrown two touchdowns and six interceptions with meltdowns against the Steelers and the Indianapolis Colts in particular; most notably two game-changing interceptions in that AFC divisional playoff loss to the Colts last year. In addition, McNair committed three fumbles and one interception in a season-opening loss to his division rival Cincinnati Bengals this year. McNair currently ranks among the worst QBs in the NFL statistically with a 75.8 passer rating that puts him behind such journeymen QBs as Brian Griese, Joey Harrington and Damon Huard. McNair set an NFL record in the Steelers loss for fewest passing yards (63) for a QB with at least thirteen completions, less than 5-yards per completion. But Billick still continues to stand behind McNair as his starter. Billick’s insistence on sticking with McNair despite a groundswell from the local media and fans for Boller to unseat him for the remainder of the season might be his downfall as head coach of the Ravens. As a nine-year head coach, Billick appears headed for his third playoff miss in four seasons. His contract was extended two years ago in 2005 when he was almost fired by owner Steve Bisciotti after a disappointing 6-10 won-lost record that year. For Bisciotti and Newsome the rebuiding process could start this year, with their first order of business sending Billick and McNair packing as soon as the Ravens conclude this season against the probable AFC North Division winners, the Pittsburgh Steelers. they need to start holding Billick responsable for the way mcnair and the rest of the team is playing. Billick needs to put his pride aside concerning choices he has made and start making better choices for the team. i think mcnair is washed up, and give boller a chance. never really been a boller fan but how much worse can he be compared to the way mc nair has played. for that matter what about the third string QB. this team and billick needs to wake up!!!! IMHO the only way Kyle Boller will be successful as the starting Quarterback of the Baltimore Ravens next year is if the current University of California at Berkeley Head Coach, Jeff Tedford is hired as the Ravens QB coach and/or Offensive Coordinator in 2008. Tedford, as Boller’s college coach, was primarily responsible for Kyle Boller’s success. Tedford is renowned for sending a slew of successful college QBs from different universities to the NFL where they have all been pretty much busts. It would be interesting to see if he was up to the challenge of taking one of his system QBs from college like Boller and trying to develop him into a good starting QB in the NFL.